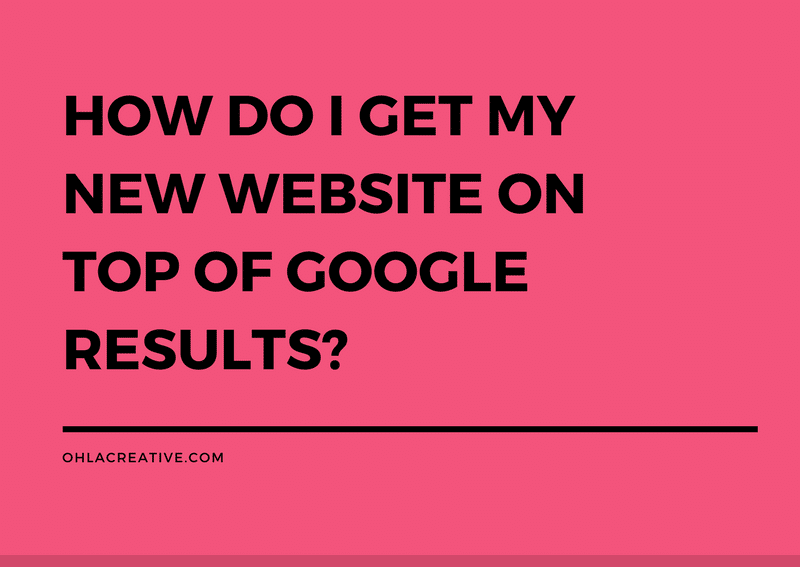 How do I get my new website on top of Google results? Getting on top of google is entirely relative. Being in the top three organic or local results is where you want to be, followed by the first page of results, and to do so greatly depends on the phrases you wish to rank for. Typically the shorter the phrase the harder it becomes unless you have some very unique keywords. Of course, there are no short cuts to getting on top of anywhere, and SEO works the same. Performing SEO to improve search results typically lasts from three to six months as there are various stages in the process which have to be performed and all take time. Initially an SEO company will analyse your website considering the phrases you wish to rank for and identify aspects of your site, both from a technical perspective and a user perspective for issues which would have a negative effect on your search rankings and then tell you what you need to fix and change to improve your rankings based on your current site code (HTML), the layout, server configuration and other aspects. Then comes the ongoing process to continually increase your site’s content quantity, and quality, along with ensuring your site is linked to or mentioned in other places on the internet, e.g. directories, and social media channels like Facebook, Twitter, Google Pages and LinkedIn. I create my websites so they are compliant with the initial stages of SEO campaigns, correct use of semantics, clear calls to action, ensuring the site is indexed and can be completely read by Google, and where my client is using a blog or CMS, I structure the initial posts so that they are optimised for maximum acceptance and influence by Google. I also use Google Analytics on each website which provides you with an extremely powerful set of tools to monitor your audience, you sites individual page performance, what is bringing in traffic and what isn’t and a wealth of other data critical to any SEO campaign. I would recommend giving further thought to an SEO ‘Campaign’ once your website is live. It is important to give some initial time so you can reliably gather stable data letting you know how your website and key phrases etc are performing as there will be a period of traffic fluctuation once a new site goes live. However you can always start thinking early about content creation, ensuring you have a working, optimised pages on all social channels, all business directories and checking the consistency any existing profiles you may have on business/online directory sites.